Readers, yesterday was probably one of the best nights of my life. 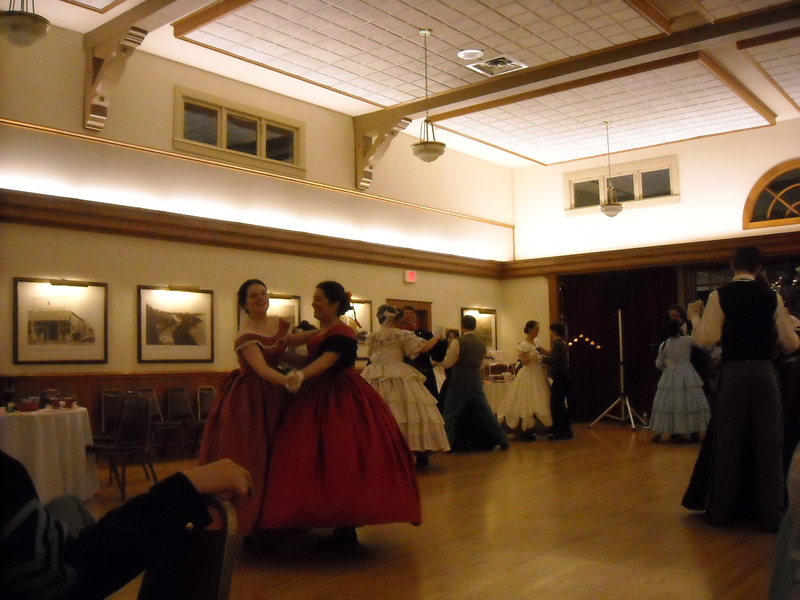 The combination of great food and friends, excellent conversation, amazing costumes, and fun historic dancing made the Spring Ball probably my favorite reenactment to date! I now understand what all those gaggles of giggly girls in Jane Austen novels are so excited about! Anyways, I did finish the dress (and thank you all so much for your lovely comments while I was working on it this week! 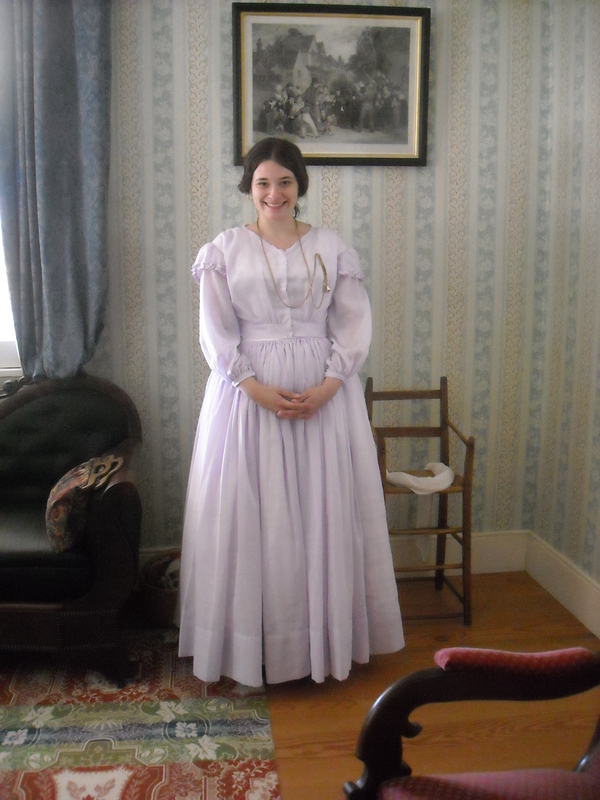 ), although I was sewing up to about a half hour before I left. 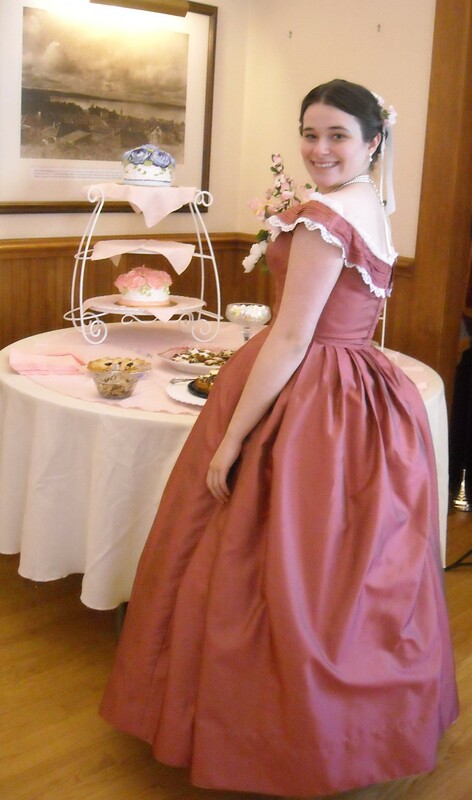 Making a reproduction ballgown in a week while also working full-time is something I definitely do not reccommend. 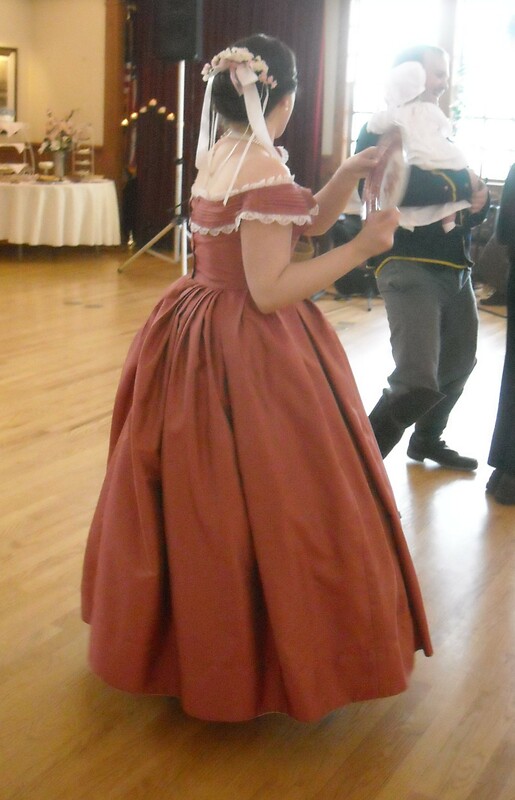 But, it came out so fabulously and fulfilled a personal sewing goal of mine – to make a ballgown. 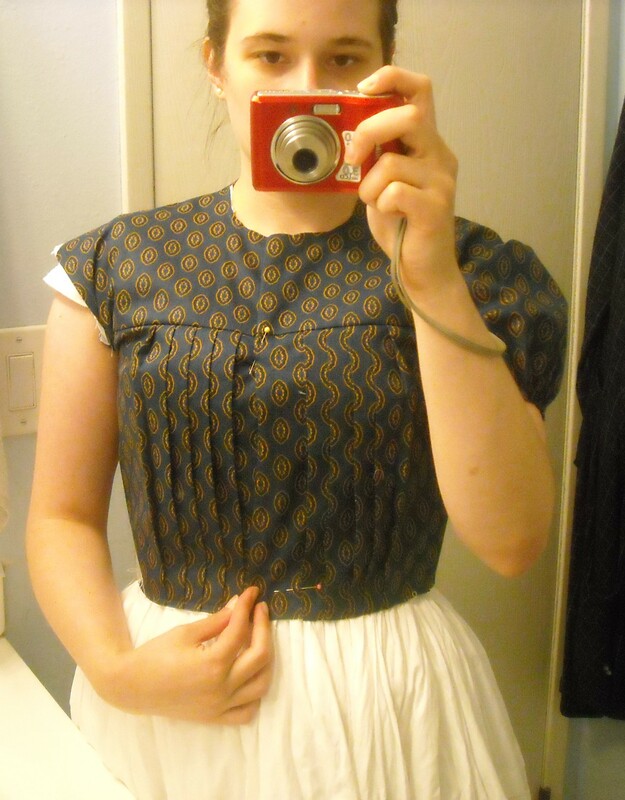 By far, the most time-consuming thing was the bertha (which is the front swoopy thing on the bodice). I decided to make a tucked bertha, as I’d read that this was the most common style during the project. And since I got so many questions from the ladies last evening on how I made this (surprisingly, the guys were not interested in this, lol) I thought I would try my best to describe it, as in my mad rush to finish this thing, I forgot to take progress pictures. Anyways, I basically made a bodice facing piece that would go on the outside (those familiar with modern sewing techniques have, no doubt, encountered facings). 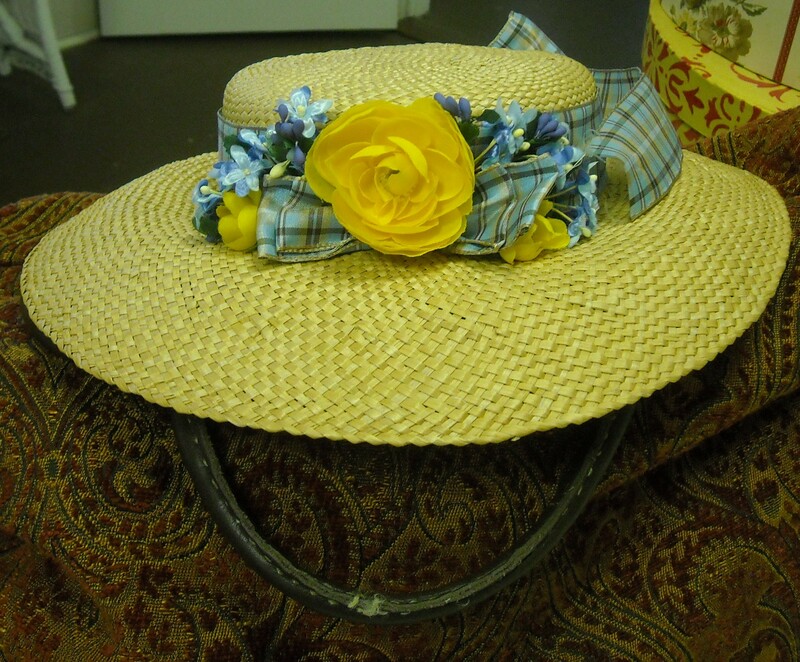 I cut this out of cotton batiste, and then sewed rows and rows of bias strips of fabric to this. I then sewed lace around the edge, and finally, pinched the whole thing in the CF, so it looks like I have two swoops going on. This whole process is very similar to what Katherine did on her Eugenie project ballgown, which you can read more about here. The results are lovely, but very time consuming, and was the most labor-intensive part of the whole dress. Now is the time when I must confess that this is not actual silk. 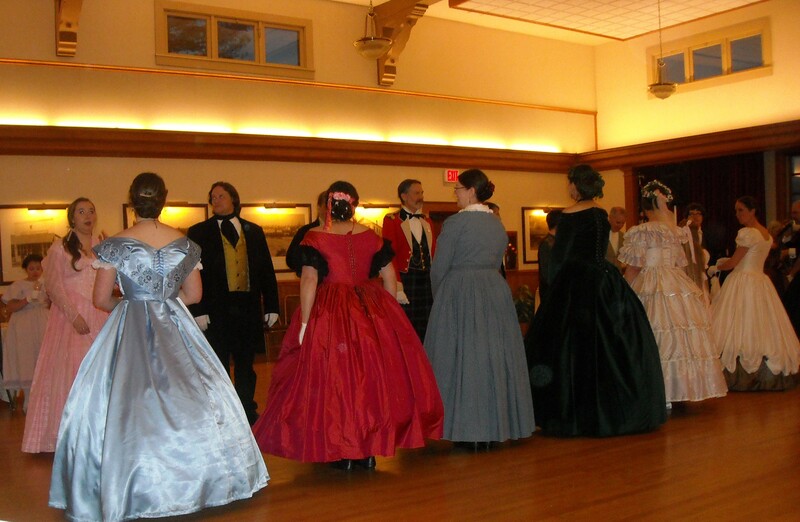 I just couldn’t justify the expense of $20/yard silk taffeta for a dress I will probably wear once a year. Instead, this is a really good fake iridescent silk that – get this – only cost me $5 for all 6 yards of it. It was an amazing thrifted find last year, and the lace on the dress (6 yards @ $3/yard) cost more than the dress! With thread and notions added in, I probably spent around $30 total on this project. Not bad! As for the accessories, I wore my grandmother’s pearl necklace (from 1943! Eep!) 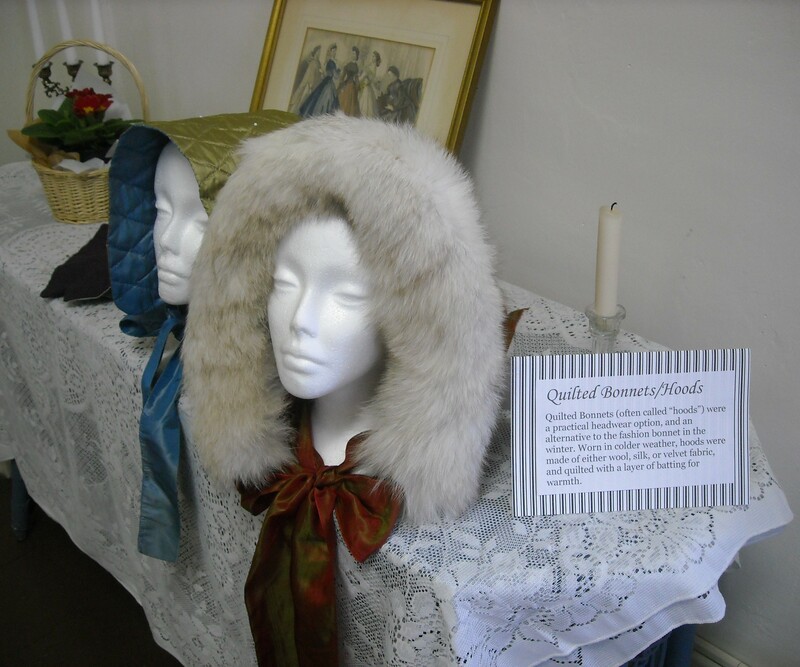 and the head decoration was made by one of the gals at the museum. 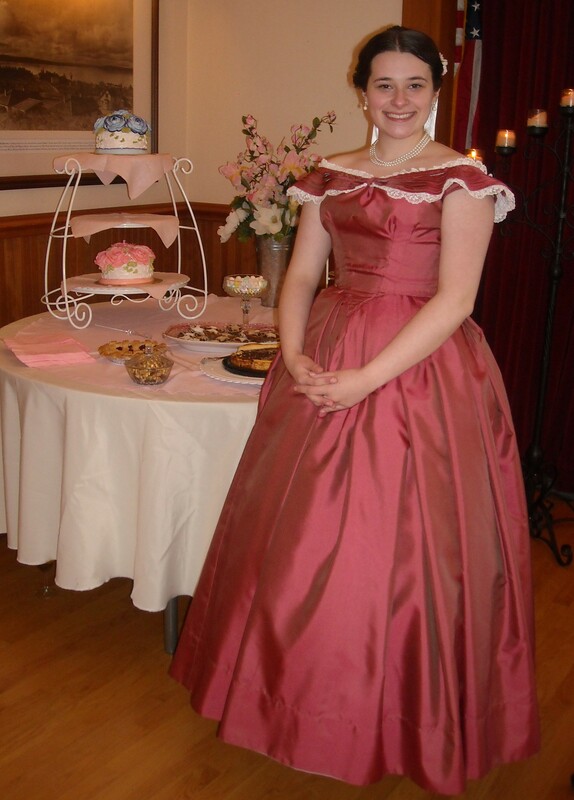 I won it in January at the silent auction (when I knew I would be going to the ball) and the white and pink coordinate perfectly with the dress. 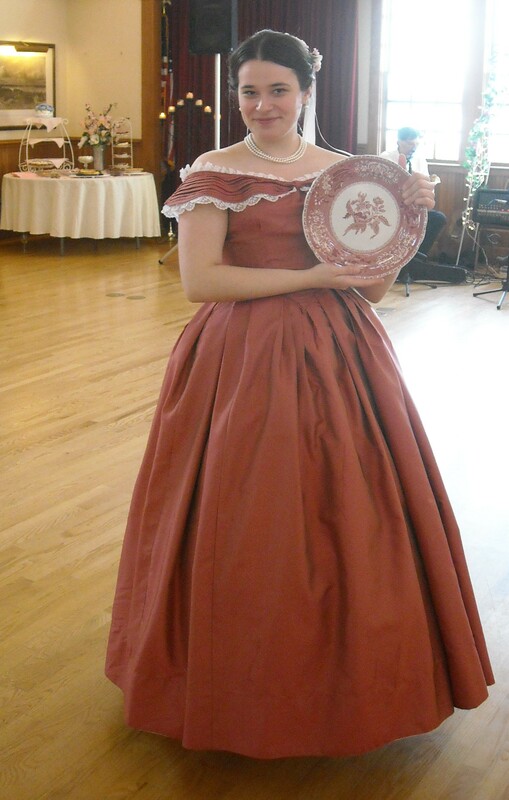 My plate also matched my dress, so of course we had to get a picture of that! A plate is an accessory, right? 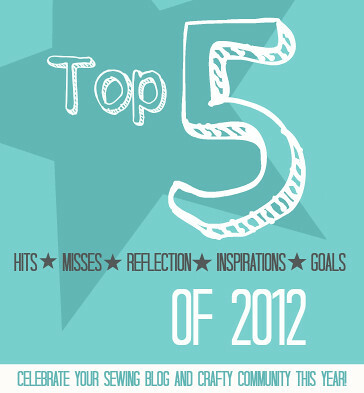 As for my next project? I’ll be working on a reproduction 1940s novelty dress, so skipping ahead about 100 years in terms of fashion history. Should be a fun little project, with way less fabric! 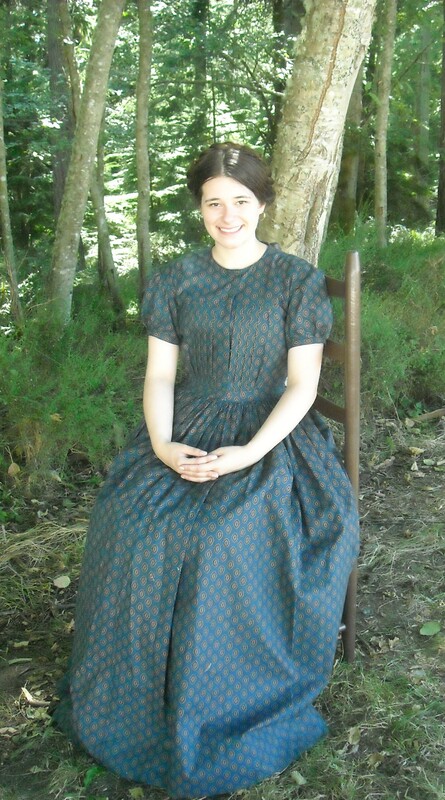 Just a quick look at my current project – a Civil War ballgown! I’ll be attending my first proper ball this Saturday and I hope to have this done in time, which is proving to be difficult with how crazy things have been lately. Anyways, I still have the skirt to hem and pleat, and most of the bodice to finish, including the pleated bertha (top drapey thing) which is taking way longer to finish than I expected (of course). 😉 Hope everyone is having a nice week! 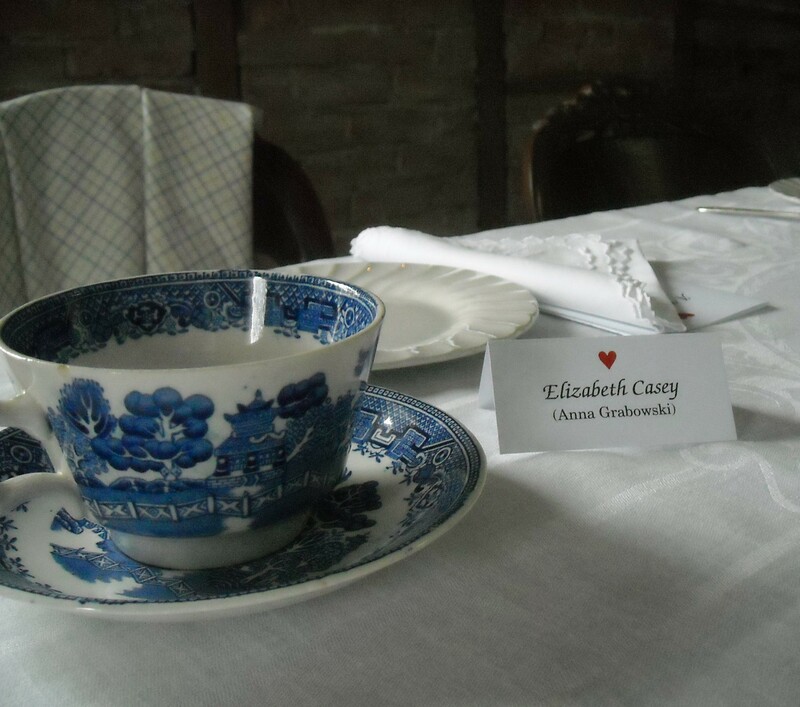 I’m finally recovering from all the fabulousness that was this past weekend’s Ladies Tea. 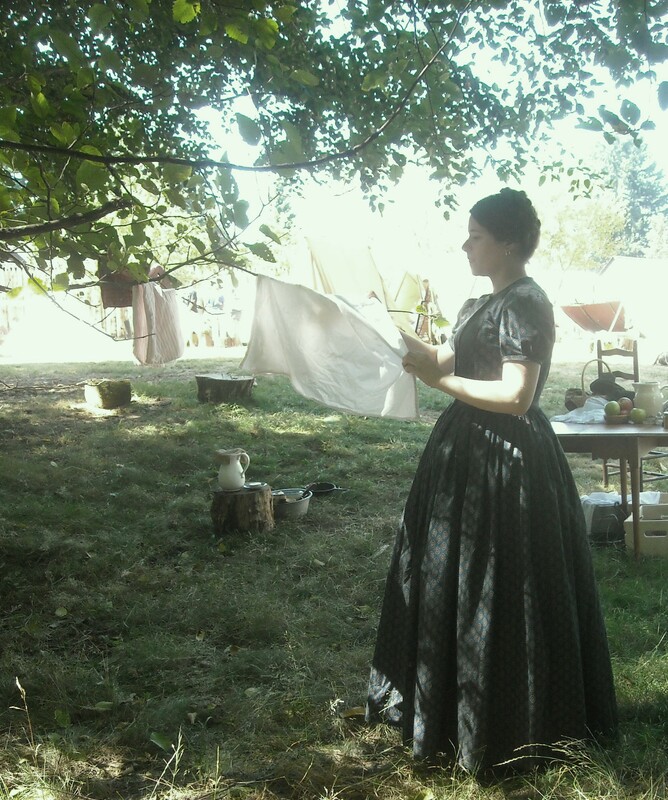 For those of you new to this annual reenactment I do, members of the public buy tickets to the tea and for $15 get a delightful afternoon of tea, desserts, and entertainment by reenactors. 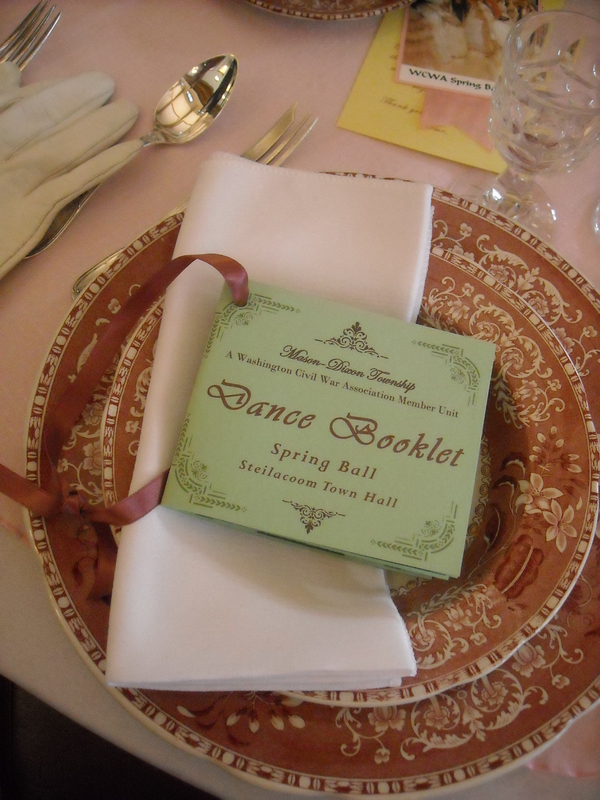 It’s held every year in February as a fundraiser for Fort Steilacoom, and this year I had the crazy idea to help co-organize it. Readers, I now understand why “Event Planner” is a job. I mean, if there was ever a girl that needed a drink in the history of girls needing drinks, it would be me. Despite this, the event was a ravishing success and our biggest tea ever. 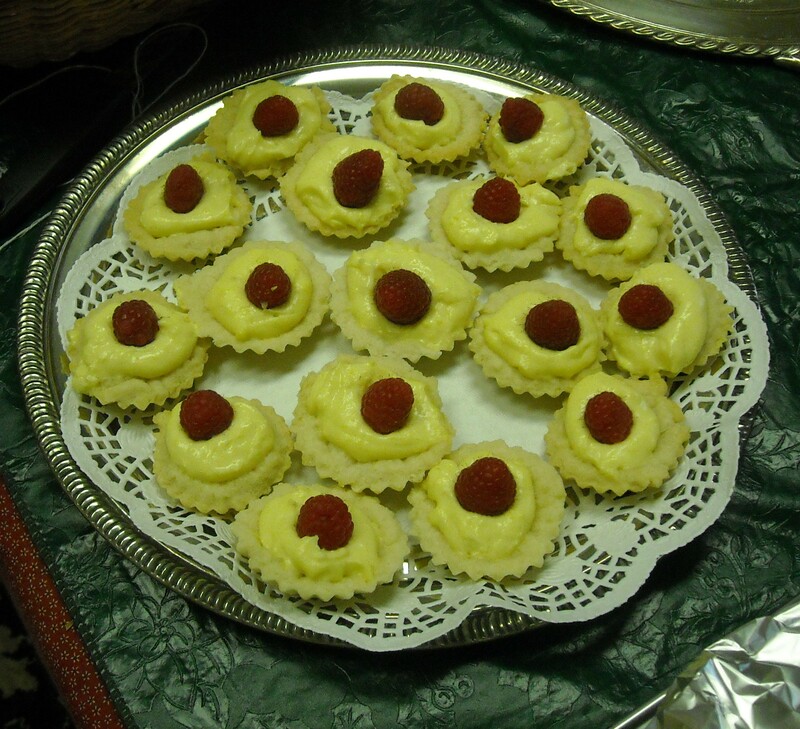 I had planned for 30 guests, made 35 tartlets (just in case) and was stunned when I arrived and was told we had 48 guests! 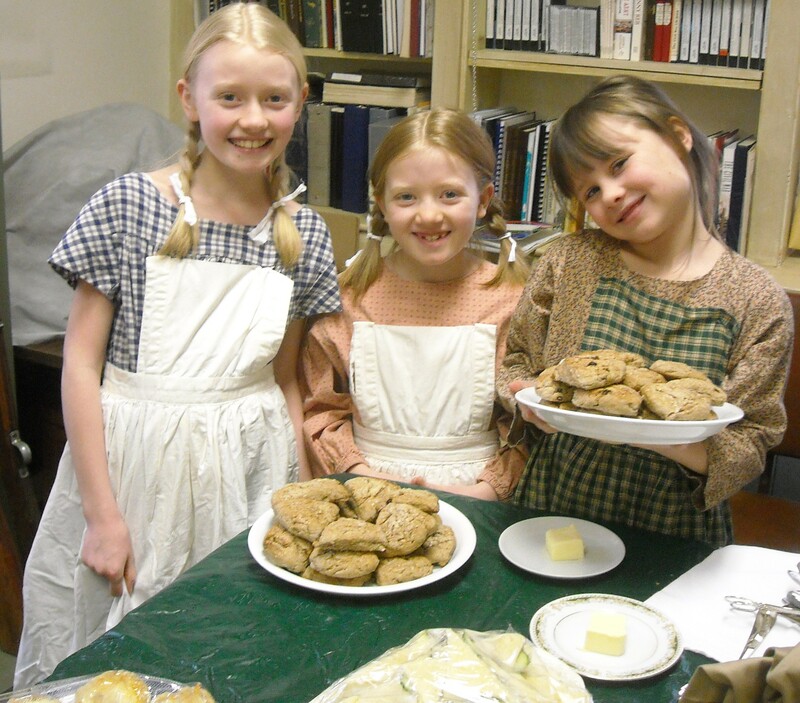 Of course, the event could never have been such a success without the help of some of our youngest reenactors that volunteered to be servants. Look how cute they are! 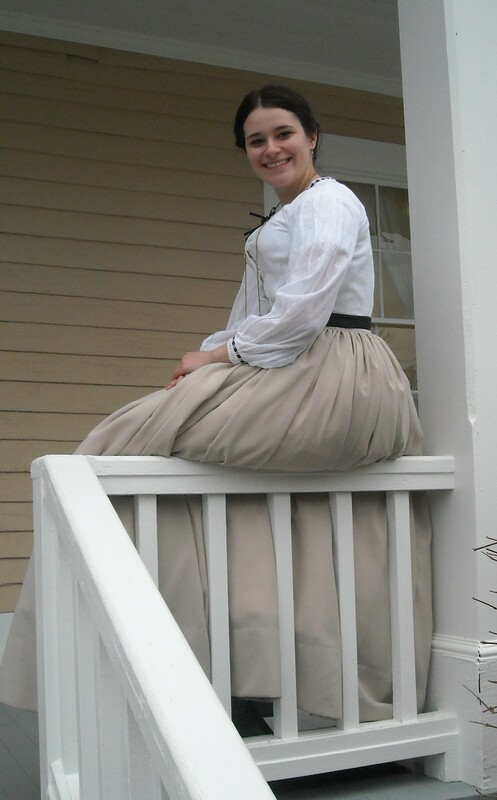 Well, I’m back from a full weekend in the 1850s! It’s amazing how pooped I was this morning. 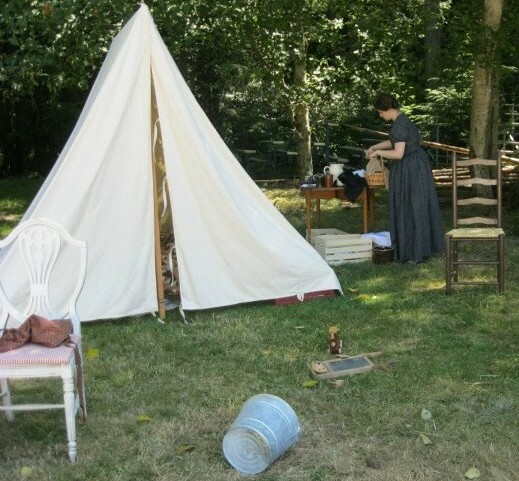 As I’ve mentioned before, this is the only event that I camp out at, and, as a result, it requires a lot more planning and prep work than the typical reenactments I go to. So, I expected some tiredness as a result of the fabulousness that was this weekend, but not as much as I got! The blue work dress definitely got the most wear, and I’m really glad that I went with the short sleeves as it was hotter than Hades this weekend. I spent most of my time in it hauling wood, looking after twins, and cooking over an open fire, where I got a lot of smoke in my eyes (hence the title of this post, it’s not a reference to the Mad Men pilot!) and mouth and had coughing attacks. As a result, all of my clothes smell like campfire, and they’ve been airing out all day today. 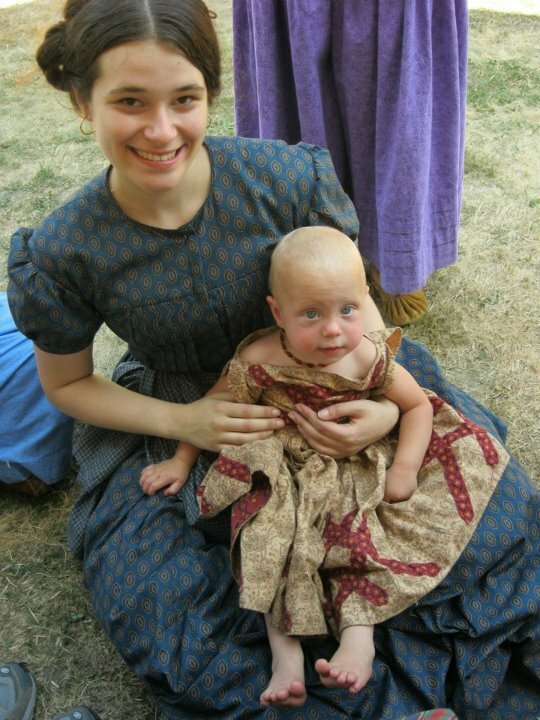 But, it was all worth it to get to play with historic babies in costume! Anyways, I’ve decided to take a break/hiatus from reenacting and historic costuming for a while, and focus on some other hobbies (like finally learning the ukelele that I got as a graduation gift back in June!). 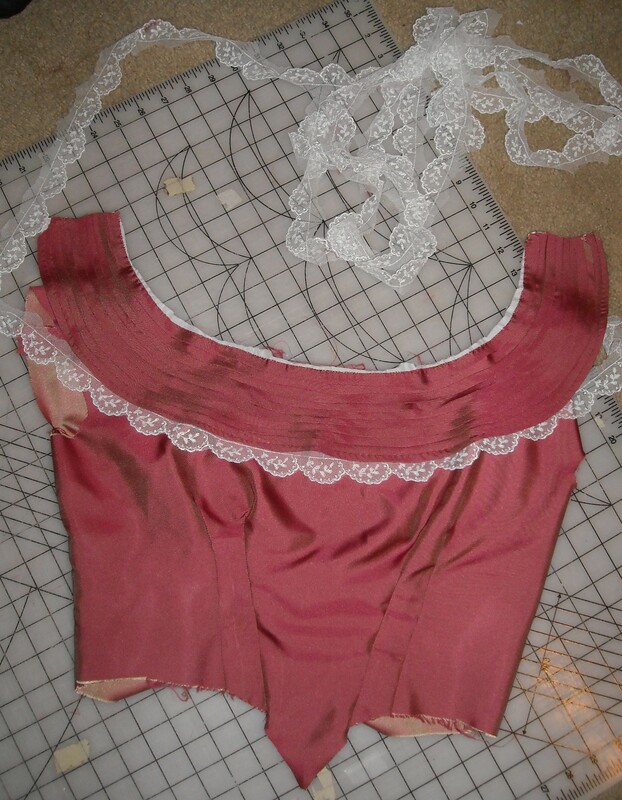 I’m just a bit burned out by reenacting right now, and am really dying to sew something that I can put a zipper in! Anybody else ever get burned out from a hobby before? But, I just thought I’d share a quick shot of my in-progress work dress for this weekend (sorry I don’t have more than this to show you! So many of my projects are in various stages of completion right now). Yes, internet, this is what annaintechnicolor looks like without any make-up.